Ford 7.3L Powerstroke Injectors- These are the Best Fuel Injectors for your Early Ford 7.3L Powerstroke Pickup Truck! UDP Remanufactured Enhanced Stock 7.3L Injectors are 20cc over stock for optimal stock performance by Unlimited Diesel Performance! 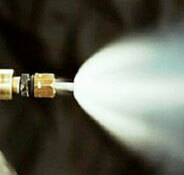 1994.5, 1995, 1996, 1997 Ford 73 Injectors. UNLIMITED DIESEL PERFORMANCE FUEL INJECTORS--Unlimited Diesel Performance Fuel Injectors for 1994-1997 Ford 7.3L Powerstroke diesel trucks. 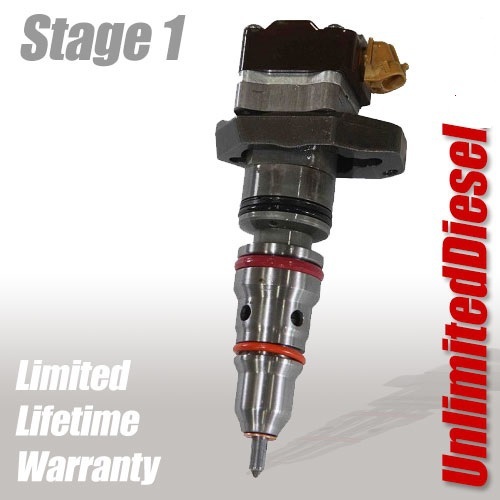 One of the top brands on the market, Unlimited Diesel stands behind their injectors with a limited lifetime warranty! 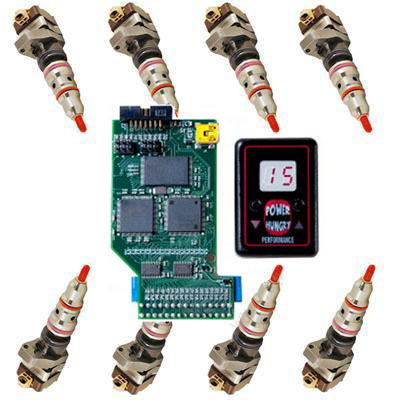 Unlimited Diesel Performance Injectors: Remanufactured Injectors, Enhanced Stock Injectors, Stage 1 Injectors, Stage 2 Injectors, Hybrid Injectors; Remanufactured with New Parts.